Brusherator for Photoshop CC and above! Brushes! On the Panel! Create tiny text buttons, larger auto-generated and custom thumbnail buttons. 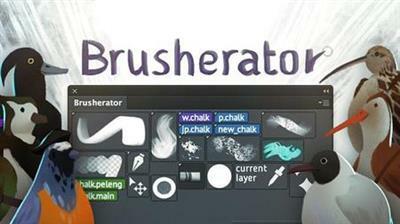 Keep your Brushes, Tool presets and Actions on a panel. And much more!